The Rapid Defence Martial Arts Academy was founded in 2004 by martial arts veteran and internationally recognised Wing Chun Master 'Sifu' Talib Fehlhaber. Sifu Talib has been teaching and mentoring students since 1993. The Academy is the first and only full time Kung Fu (Wing Chun) training centre in East Anglia, and boasts of over 2000 sq ft of a clean and modern training facility right in the city centre of Norwich. It has a broad membership base of well over 100 students from every walk of life. 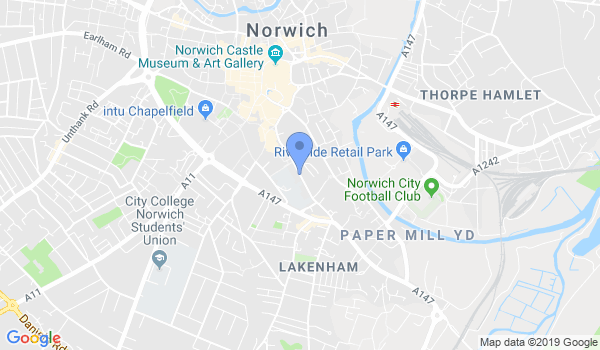 We are Norwich's premier full time martial arts training centre and offer classes every day of the week for men, women and children of all ages and abilities. Would you like more information on hours, classes and programs available at The Rapid Defence Martial Arts Academy? Please contact the school with your questions. Update the details, Write a Review or Report Error of The Rapid Defence Martial Arts Academy.